Darcy Carroll is a managing director and wealth advisor with William Blair’s Private Wealth Management group. She advises clients on the importance of asset allocation, diversification, risk analysis, and portfolio rebalancing. Darcy primarily focuses on the creation, implementation, and oversight of prudent investment strategies based on a thorough understanding of each client’s goals and objectives. She has a deep knowledge base related to estate planning tools and strategies. Before joining William Blair, Darcy was a portfolio manager at Brown Advisory Securities, LLC and a vice president at Credit Suisse, where she oversaw several institutional relationships. Corporate assignments included, but were not limited to, employee stock option programs, retirement plans, directed share programs, and 10b5-1 plans. She began her career at Alex. Brown & Sons in 1995. 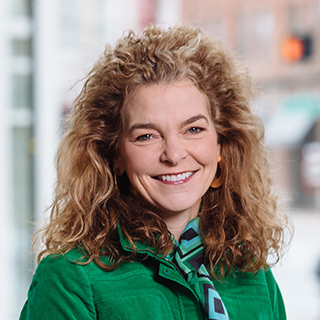 Darcy is chair of the board of WYPR and an investment committee member of the Roland Park Community Foundation. She received her B.A. from the University of Virginia.